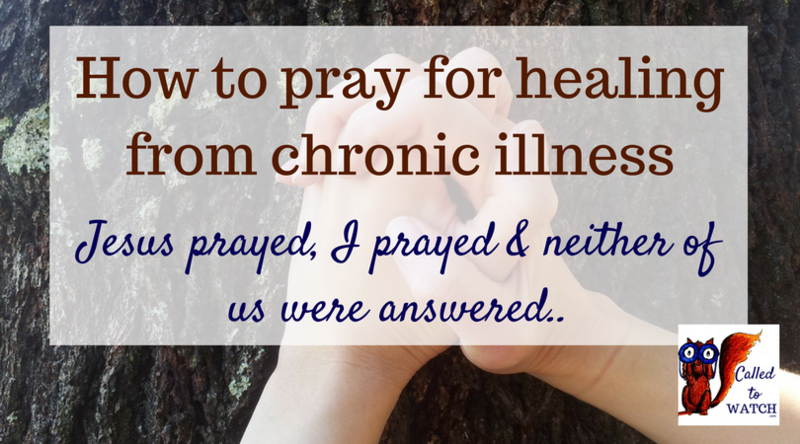 The Bible has some pretty in-your-face things to say about prayer and healing. Jesus, as He walked on this earth prayed some big prayers. But where do these truths fit in my life when my loved ones are not healed however much I pray? As I watch people in my life suffer yet cling to the knowledge that I serve a good God, I have struggled with the Bible’s teachings on prayer. I used to read the verses which seemed to promise immediate physical healing with great cynicism. At last I decided it was time for me to look into them properly, and I was somewhat surprised at what I discovered when I left my pride and preconceived ideas at the door. It’s all very well for me to know that I OUGHT to pray – but how do I really go about praying for someone with an ‘incurable’ disease? I decided to look at the sort of prayers Jesus prayed – and also whether or not they were answered..
// What sort of struggles have you had with the idea of prayer? I’d love to hear about them!